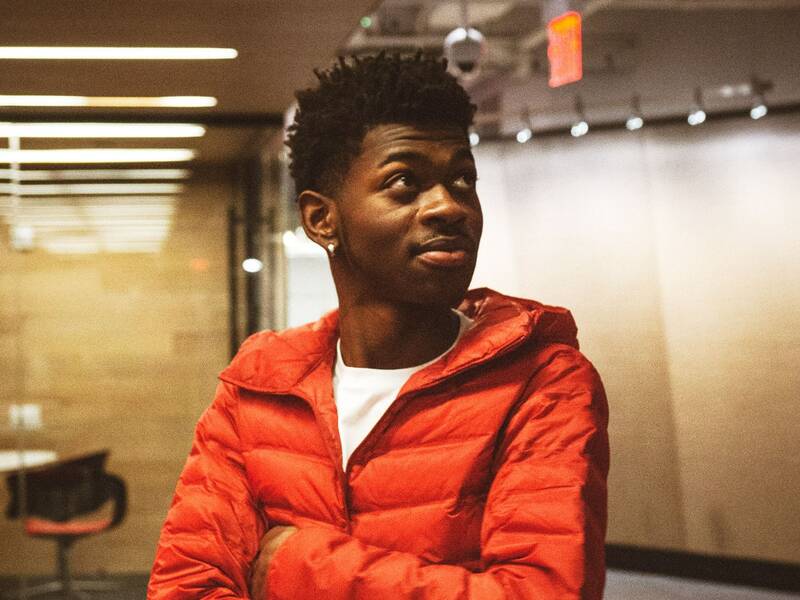 Lil Nas X’s “Old Town Road” stuns. Literally. It wrenches the listener into a daze. Perhaps you’ll wonder where you are, confused by its temperament: both familiar and strange to the ear. But “Old Town Road” is a nexus that pulls in everything with which it comes in contact, and by the fifth listen, with a faint surge of jubilance coursing through you, it feels like a feast. You want more. In the last month alone, the song, which reached No. 1 on the Billboard Hot 100 last week after a bout of controversy, has forced the internet into a giddy, and sustained, state of gridlock. “Can’t nobody tell me nothing,” our cowboy announces. And because we, too, desire that elixir of self-belief—how could one not during times like these?—we sing along, succumbing to the song’s tangy banjo, its swamp of trap bass, its galloping joy. “Old Town Road” is all of us. But how did we get here? How did one song arrive at 200 million combined streams (according to data from Spotify and Apple Music, where it’s charting in the top two spots on the Global 100); social ubiquity across Twitter, TikTok, and Instagram; a remix with country legend Billy Ray Cyrus; a rumored second remix with rap maverick Young Thug; an endless torrent of memes and videos that have helped feed the online rise of The Black Yeehaw Agenda (which has in turn fed the rise of “Old Town Road”); press in outlets both expected and surprising (including Pitchfork, The New York Times, CBS News, E!, Taste of Country, and NPR)? The exact answer involves a mysterious kind of alchemy, but the short version is that Lil Nas X’s hit encapsulates more of pop culture in 2019 than anything else released this year. Issued last December, “Old Town Road” belongs to a rare species of musical supernovas—Beyoncé’s perennial feminist bop “Single Ladies” and Cardi B’s “Bodak Yellow,” among them—that have the power to bring the internet together around one anthem. It’s a vortex of attention-grabbing pop art infrequently experienced these days as artistic omnipresence has become harder to engineer. For weeks it floundered on SoundCloud and later squirmed through the music app TikTok, where it gained social relevance and chart placement, but it wasn’t until Billboard decided to yank it from its Hot Country Songs listing—it did not “embrace enough elements of today’s country music,” they reasoned—that it catapulted into the fulcrum of online discourse. Suddenly, a three-month-old song by an unknown rapper from Atlanta was the nation’s most popular track. It has found cross-continental appeal too. Speaking to WIRED, a rep from Apple confirmed that the song commands the No. 1 spot on the local Apple Music Daily Top 100 charts in at least 23 countries. Over smacking bass, X sing-raps with a sense of dogged purpose. “I’m gonna take my horse to the old town road,” he says, “I’m gonna ride till I can’t no more.” And then the chorus hits, a blend of hypnotic rhapsody and outlaw spirit: “Can’t nobody tell me nothin’/ You can’t tell me nothin’,” he repeats. (Buoyed by Young Jeezy’s signature ad libs a decade prior, Kanye West deployed a similar refrain on the 2007 single “Can’t Tell Me Nothing.”) Understood as a meta-commentary on artistic freedom, the song becomes both mission and mission statement, and additionally a warning against the hazards of industry protocol for fledgling artists like X. Produced by Young Kio (who hails from the Netherlands and sold the beat to X last October for $30), its leisurely tempo seems to complement the singular objective. It’s as if X is saying, I’m gonna make it no matter how long it takes. By the sixth or seventh listen—at just under two minutes, its lean run time makes for easy replay—it becomes clear that “Old Town Road” is a ramshackle of genre, history, and generational bias. Hence the designation X gave it: “country trap.” The song’s pieces are rich and scattered. Sparse in use but lush in selection, its elements may at first elude the senses. The result is something of a punctuation, a euphoric sway, and a feeling of rejoice all at once. They work to liquidate reason and the assumption of history. The black cowboy figure, shoehorned into the distant corners of Americana, emerges here for all to see. High atop his horse, he’s riding with pride. The popular narrative that has emerged around “Old Town Road” is that the song represents industry dissolution—of genre, of traditional formality with regard to how artists navigate the music business. But “Old Town Road” isn’t really disruptive in the way that we think it is, or want it to be. Genre, like gender, is an increasingly outdated construct. What’s happening is nothing new. Partitions are a fading industry convention; here, X proves the thesis true and necessary (the popular 2004 country-rap ballad “Over and Over” by Nelly and Tim McGraw flirted with the same kind of genre intermixing). The song, like all sneakily transcendent art, works to stabilize, to lend context. It unifies. The one rouge factor was the bubbling Black Yeehaw Agenda. It’s well-timed rise across Black Twitter and other online ports couldn’t have been predicted, but it’s a lesson in marketing strategy all the same. Music has always flirted with synthesis, but today that feels especially prescient on the internet, where a skillful song cannot thrive alone—it must find its moment among the collective. It must obtain a cross-platform resonance that is simultaneously authentic and plotted. If the result lands with eclipsing force like “Old Town Road” did, does it ultimately matter how it came to be? I don’t think it does. Not anymore, at least. For me, the song amounts to much more than hasty pastiche. Listening to “Old Town Road,” I’m pulled in by its tricky calibration—it’s cerebral but never too serious. It’s sly that way. It’s country and also hip-hop, but also more than those configurations, too. In theme and texture, structure and influence, “Old Town Road” becomes the first inextinguishable art proposition of 2019. It’s perfectly of the zeitgeist: mood and movement. A mumble that eventually crescendos into decree.